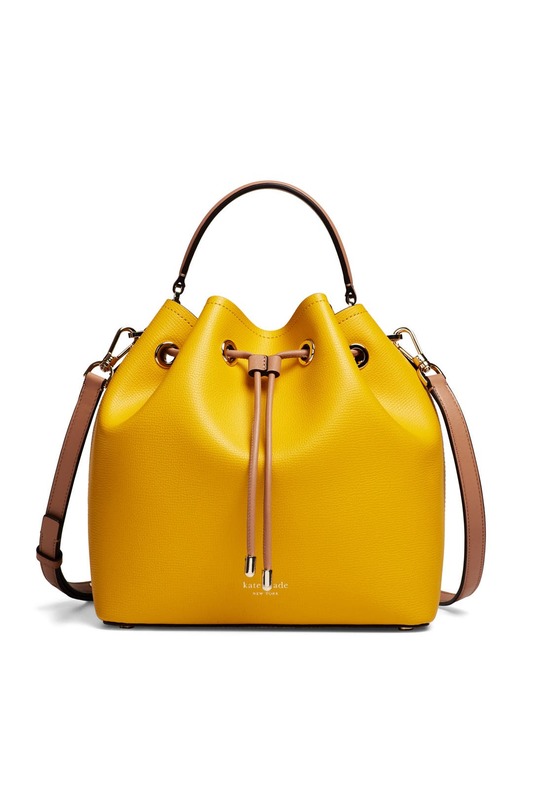 An open top with drawstring closure adds modern elegance to this leather bucket bag by kate spade new york accessories. Carry it by the flat top leather handle or as a crossbody using the removable, adjustable shoulder strap. 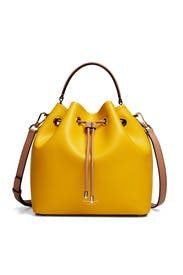 Yellow crossgrain leather bucket bag with drawstring closure. One interior zipper pocket. 22" adjustable crossbody strap drop. 10"H x 10.6"W x 6"D.